The Milton market is on fire! Thinking of moving West? 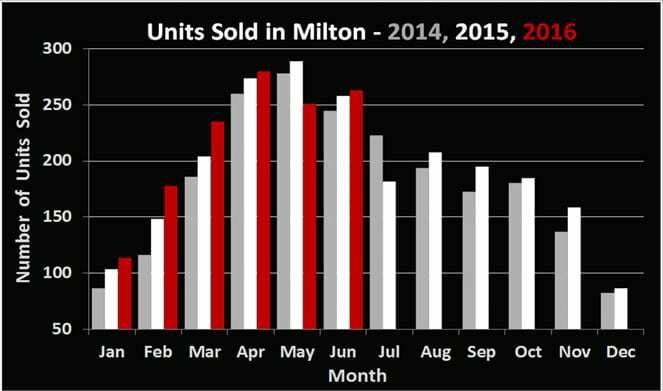 Milton’s 263 residential sales in June 2016 represent a small increase of 1.9% in volume when put up against the 258 sales of June 2015. The average sale price however skyrocketed up nearly $80,000 (+14.5%) to $614,800 when compared to the figure from 1 year ago. Despite a slow start to the year volume-wise, things have certainly warmed up. More and more sellers who were nervous about getting into the market have begun testing the waters, or have finally found something to buy prior to listing. With the huge price increases this year already in Milton (and in any city closer to Toronto), many people are considering moving further West. 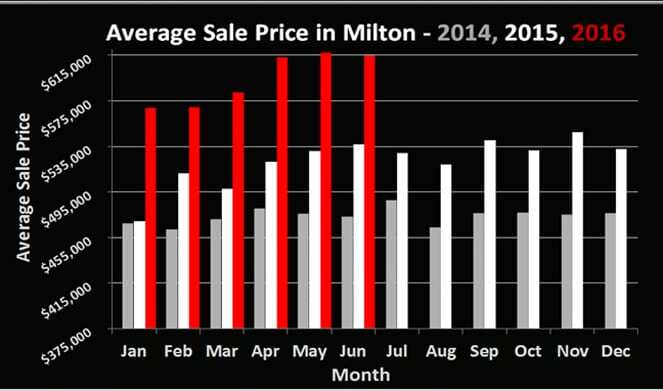 Prices have not yet increased at quite the same rate in cities such as Guelph, Cambridge and Kitchener/Waterloo. We’ve already assisted several Milton residents this year in the making such a move and are familiar with the markets in these cities. Often people are able to sell even their town homes or semis and move into double car detached homes for a similar, or even lower price. If this is a move you’ve been considering or if you’d like to find out more, we would be glad to assist. Just send us an email or give us a call, we’re never too busy to chat!